The elastostatic stiffness performance of a 2PUR-PSR (S: spherical joint; U: universal joint; R: revolute joint; P: prismatic pair) overconstrained parallel mechanism with two rotational and one translational (2R1T) degrees of freedom was studied based on screw theory and strain energy. First, the actuator and constraint wrenches of the mechanism were obtained based on screw theory. Second, by considering the space composite elastic deformation of the rod (including axial tension, and shear, torsional and bending deformation), compact limb stiffness matrixes were obtained in terms of strain energy and Castigliano’s second theorem. Finally, analytic expressions for the overall stiffness matrix of the mechanism and the amplitudes of the actuator and constrained wrenches were obtained based on the virtual-work principle and the balance equation for a moving platform. The relative error between results from the analytical model and the Workbench finite element model is approximately 1.3%, which validates the effectiveness of the proposed elastostatic stiffness model. 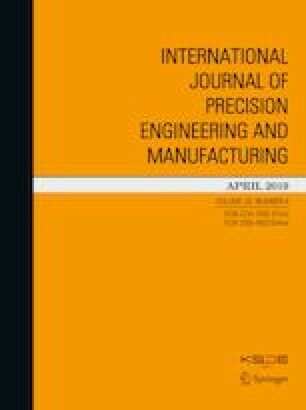 Unlike traditional stiffness evaluation index, a regional stiffness index was proposed to measure the mechanism’s stiffness performance at various working heights. Using the index, it is possible to determine the optimum stiffness region of a moving platform with known external wrenches. The authors would like to acknowledge the financial support of the National Natural Science Foundation of China (NSFC) under Grant nos. 51775513 and 51525504; the Open Foundation of Zhejiang Provincial Top Key Academic Discipline of Mechanical Engineering under Grant no. ZSTUME02A03; the Science Foundation of JSUT under Grant no. 11610511703; and the Science Foundation of ZSTU under Grant no. 16022015-Y.